The New Year is here and art continues to thrive in the Coachella Valley and the High Desert. With its usual fanfare The Palm Springs International Film Festival is in full swing. This festival runs through January 15th. Showcasing works from around the globe the festival is seen as a barometer to Cannes Film Festival and the Academy of Arts OSCAR® awards. All information is available at www.psfilmfest.org. Fusion Art has two open calls for artists. Fusion Art will host its third annual Artist Spotlight juried art competition. This competition happens four times per year and from each competition nine artists are selected. While there is no theme or media restriction, artists must have a cohesive body of work with a minimum of five and a maximum of twenty pieces of art. Artist Spotlight is designed to highlight those artists who have a cohesive, quality, and body of work to showcase. The Artist Spotlight applications will close on January 20, 2018. Nine winners will be selected and notified of their acceptance as an Artist Spotlight winner by January 22, 2018. The Artist Spotlight exhibitions will open on February 1, 2018 and continue for three months. In addition, Fusion Art is hosting submissions for its 3rd Annual Leaves & Petals online juried art exhibition for the month of February 2018. Artists are encouraged to share their artistic vision and interpretation of flowers, leaves, herbs, plants, shrubs, bushes, hedges and other botanical or floral subjects. The artwork can range from realism to surrealism to abstraction. Awards will be given in awards in two categories – “Traditional” Art and “Photography & Digital” Art. Information on these competitions is available at fusionartps.com. Information on this and upcoming JTAG Shows is available at joshuatreeartgallery.com. Entries are due on Monday January 29. Application and other information is available at www.palmspringspublicart.org. 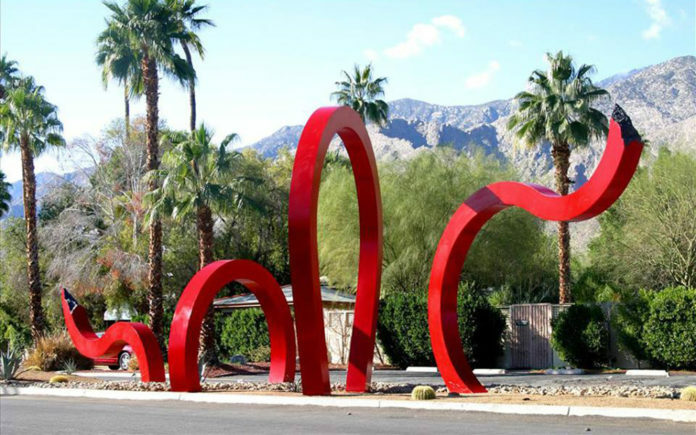 Art continues to make the Coachella Valley a destination. The year 2018 already shows that we will not be disappointed.